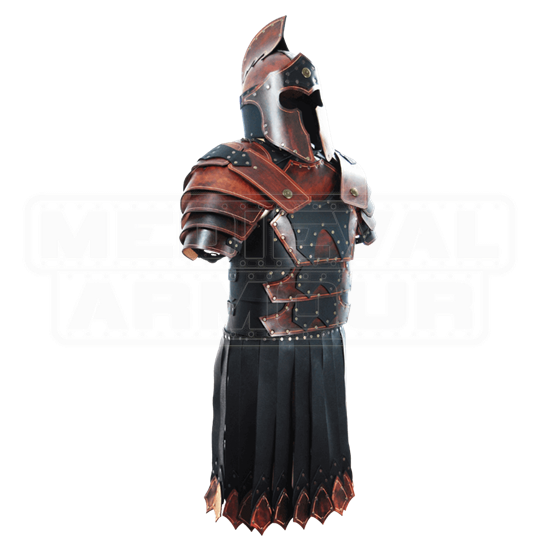 Clad in the Leather Praetorian Battle Armor Set, you will very much look the part of a highly ranked warrior and soldier of Ancient Rome. The armor is crafted for both protection and flexibility, and it will serve the warrior that wears it well indeed. This armour set consists of several pieces, including a cuirass with attached pauldrons, a Corinthian styled helmet, a tasseted war skirt, bracers, and greaves. Each piece is made entirely from 9-10 oz. and 5-4 oz. leather while featuring a rich coloration of black and brown that is quite appealing to see. The armor is worn with a series of adjustable leather straps and buckles and laces, in the case of the bracers, to ensure that the whole suit is quite adjustable in terms of size. 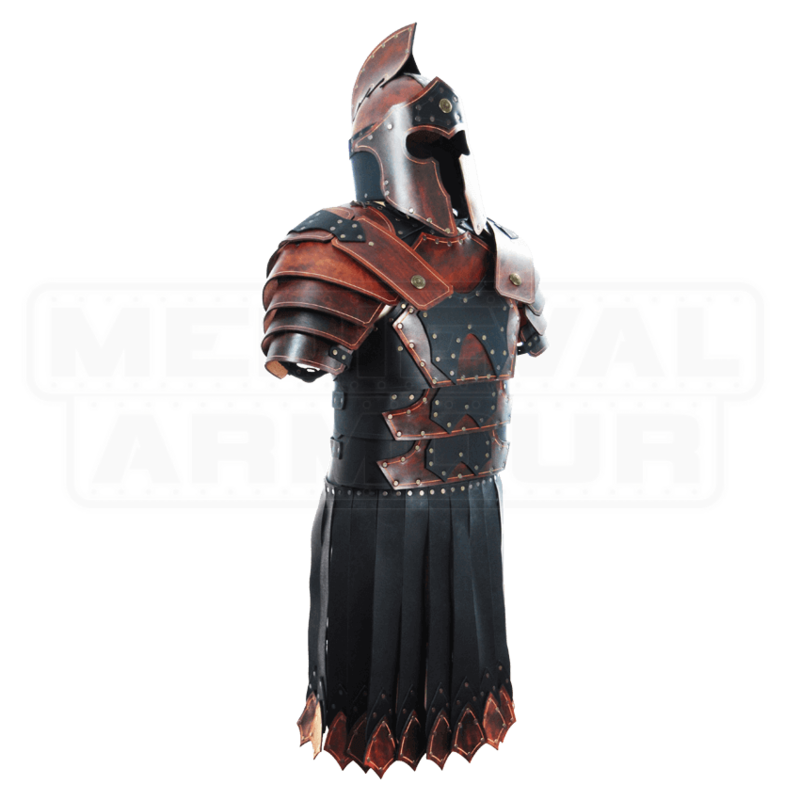 Impressive in its appearance, this Praetorian Leather Battle Armor Set will turn heads when worn by making anyone look like one of Romes elite defenders and battle-leaders.